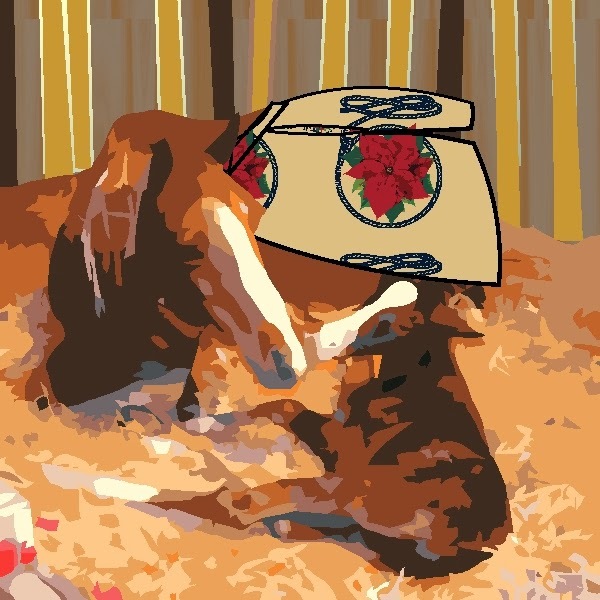 Robbie Devlin’s small crutch thumped on the plank floor of the cabin as he made his way to the rime-frosted window overlooking the barnyard and corrals. The warmth from the big fieldstone fireplace kept the deep chill of a Wyoming winter at bay in the snug little pine cabin, but also fogged the inside of the window glass, shutting out most of the dim, gray December light. Behind him, in a corner of the room, a hewn spruce stood, cheerfully draped with popcorn chains, bright ribbons, and paper ornaments. A few cherished, tin and glass ornaments sparkled with firelight, and the aromas of evergreen, wood smoke, and bubbling stew from the big cast iron stove filled the air. Flurries of snow whirled and danced outside. Blanketed in white, the high, pine-ringed valley sheltering the ranch was deep in gray and purple shadow. Robbie stood stork-like on one leg, leaning on the crutch for balance. He swiped at the glass with his free hand, sucking in a gasp as the cold bit his palm. Freckled nose scrunched, the boy leaned toward the icy glass and peered out at the darkening yard. Robbie set the crutch firmly against the wall and, balancing, took a steadying breath. He stared fiercely at his right leg, willing it to unbend. Slowly, sweat dampening the thick shock of straight copper hair that tumbled over his forehead, Robbie forced his right knee to straighten. When his foot finally touched the floor, he gingerly eased his weight onto it. But for the crackling of the fires in the hearth and stove, there was no sound in the cabin as brother and sister held their breath in tense uncertainty. Robbie’s leg had healed slowly from the bullet wound he’d suffered the previous summer, when outlaws had stormed the ranch. Annie knew his leg was just as apt to buckle beneath him or seize up into an excruciating cramp, as it was to support him. She clutched her hands together to keep from reaching out to steady the boy. Robbie lifted his head, beaming a grin of sheer triumph. Annie blew out her breath. Before she could answer, the cabin door flew open on a gust of icy wind and swirling snowflakes. Michael Cantrell, tall, rangy, toughened far beyond his age by four years of cruel and devastating war, stomped the snow and ice from his boots before stepping over the threshold. Muscling the door shut against the wind, he pulled off his hat, shaking the snow and ice from his dark blond hair like a big, shaggy dog. For good measure, he whacked the hat against his leg, a habit that usually earned a fond, but exasperated, scolding from Annie. Shocked, surprised, and delighted at seeing Robbie stand unassisted, Michael shot a questioning glance at his wife. He understood the tangle of emotions in her gray eyes. He cocked one eyebrow and turned to the boy. Cheer and excitement erupted in the small cabin. Annie’s worry dissolved as she was caught up in the celebration. Michael bundled Robbie into his coat, gloves, and hat, then hunkered down to let the boy scramble onto his back. Annie took her own coat from the hook. She reached for the door, but Michael shook his head. Annie started to protest, then gave in. “All right, but be careful, you two.” Then, with another gust of wind and snow, they were gone. LORRIE FARRELLY is the author of three Western historical romances featuring the Cantrell and Devlin families of Wyoming. The first novel in the series, TERMS OF SURRENDER, was a finalist for the prestigious Orange Rose Award. 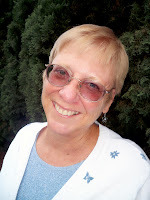 Lorrie also writes contemporary romantic suspense and time-travel adventure. She lives in Southern California. Hi Lorrie and Alison. Loved the story. Wishing you both a safe and happy xmas. Always great to visit Annie and Michael! Merry Christmas! !